Thank you to everyone who participated in our Inspirational #112: Color in the lines! Congratulations to the creators of our Inspiration Projects from Inspirational #112! This card has lots of layers, dimension and wonderful coloring! Great image and sentiment too! The polka dots and colors are so fun on this cute card! Look at the fabulous details of her hair! Another great example of fantastic coloring and details from head to toe! 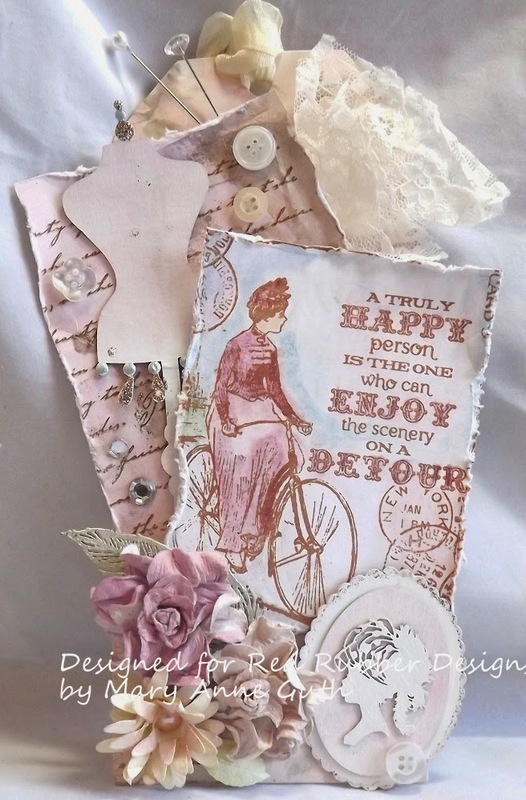 There is still time to join in our current Inspirational #113: Very Vintage hosted by Mary Anne. Please link up your project by 11:59 PM (U.S. Central time zone) on Wednesday, April 2nd. And don't forget our next Inspirational starts on Thursday, April 3rd!! Thank you to everyone who participated in our Inspirational #111: One Last Snowfall! Congratulations to the creators of our Inspiration Projects from Inspirational #111! Fantastic snowflake images. 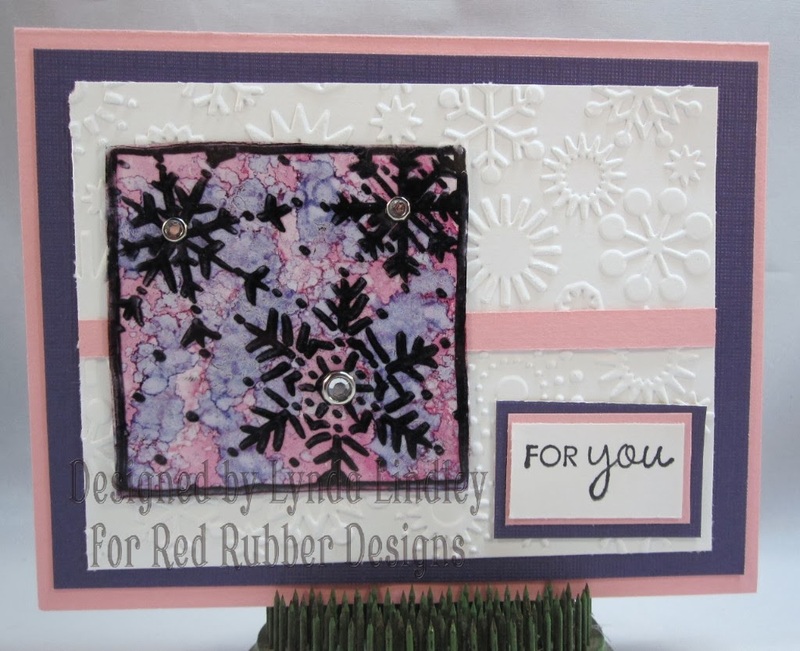 The background colors make the snowflakes pop off the card. The matching sentiment really makes this card great for one last snowfall. 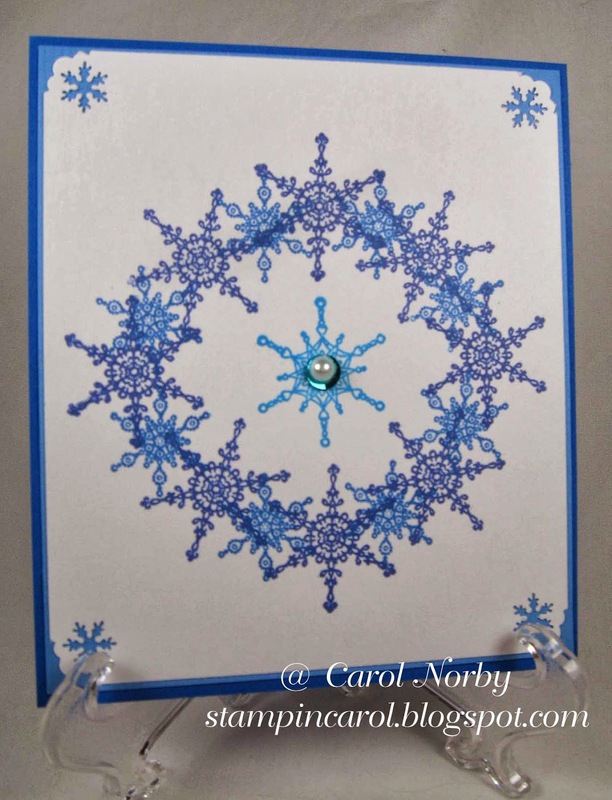 All these wonderful snowflakes used to create this wonderful medallion shape on this card are just great. There is still time to join in our current Inspirational #112: Color in the Lines hosted by Drea. Please link up your project by 11:59 PM (U.S. Central time zone) on Wednesday, March 26th. And don't forget our next Inspirational starts on Thursday, March 27th!! Deadline for submitting your projects is Wednesday, March 26th at 11:59 PM US Central time. Drea here with Inspirational #112: Color in the lines. 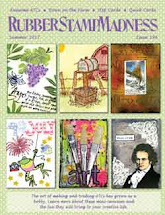 Have fun with your stamping and color in the lines using markers, inks, chalks, paints, colored pencils, stickles, etc. 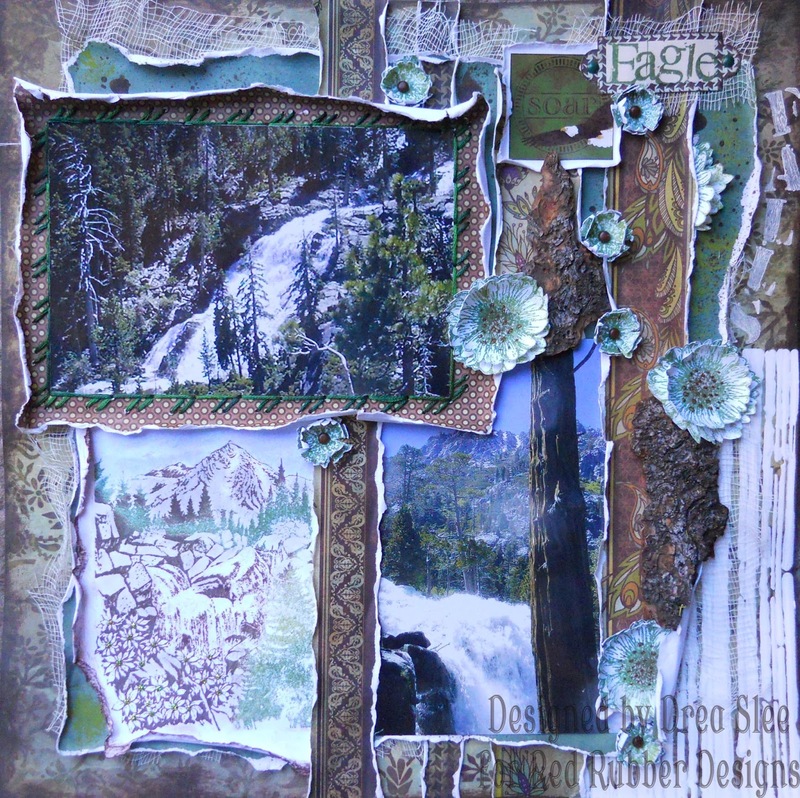 I scrapped these photos of Eagle Falls in Lake Tahoe, to compliment the Majestic Mountain stamp set. I started by stamping my image using 3 different colors of ink. Then I used chalk to color in the mountains, rocks, and sky. 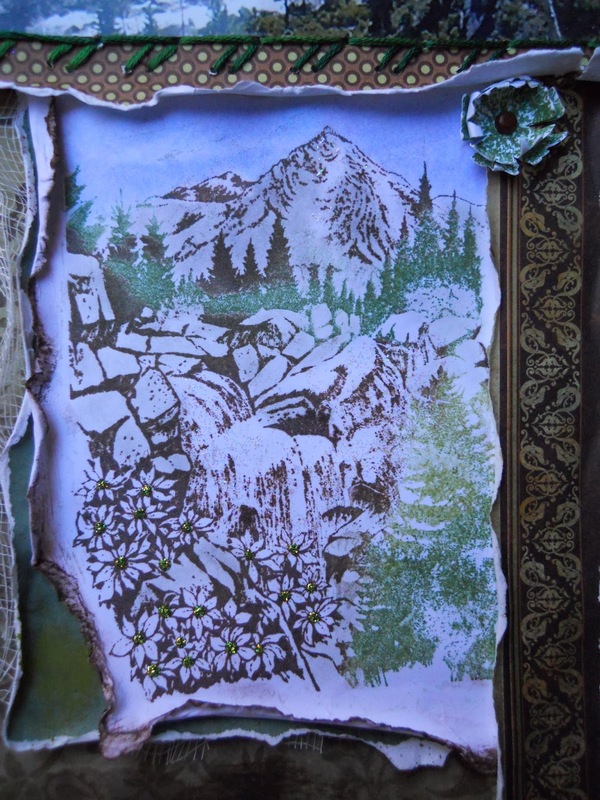 I used Stickles (stardust) on the snow and waterfall and (lime green) for the centers of the flowers. The larger flowers were stamped with the nothing is better stamp. 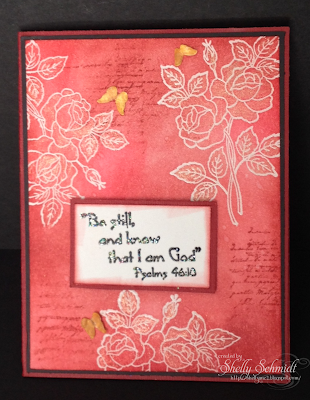 I used brown chalk for the centers and then embossed the speckle background over it for some texture. 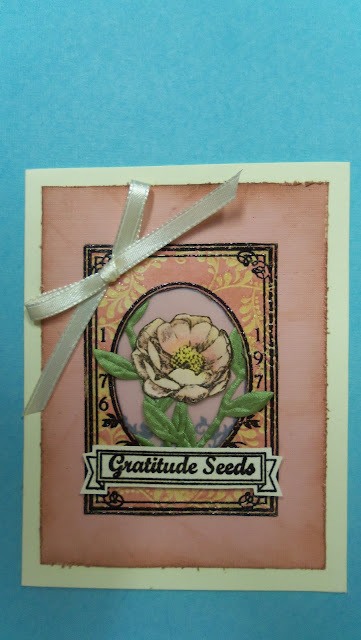 The smaller flowers were stamped using pressed flowers, and "eagle" was stamped using distressed typewriter bet. 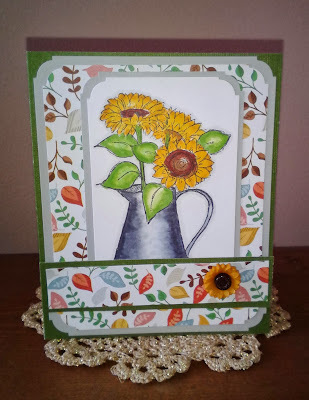 Paula-Kay got real creative with this cute card that she made using the becca cling mount stamp! 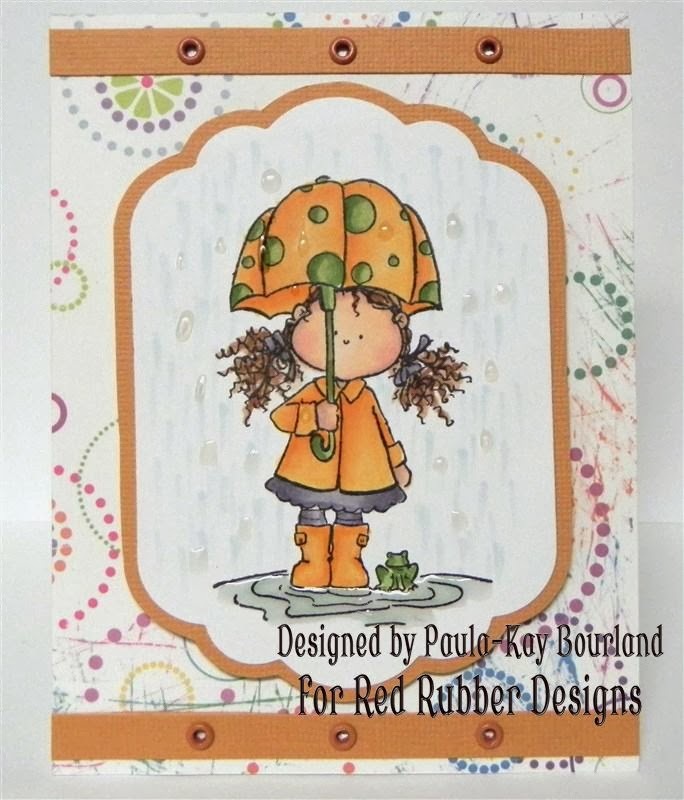 Fabulous coloring, and those raindrops are the perfect touch! We can't wait to see how you color in the lines! Happy Stamping! Thank you to everyone who participated in our Inspirational #110: Stamp Your Own Background! Congratulations to the creators of our three Inspiration Projects from Inspirational #110! 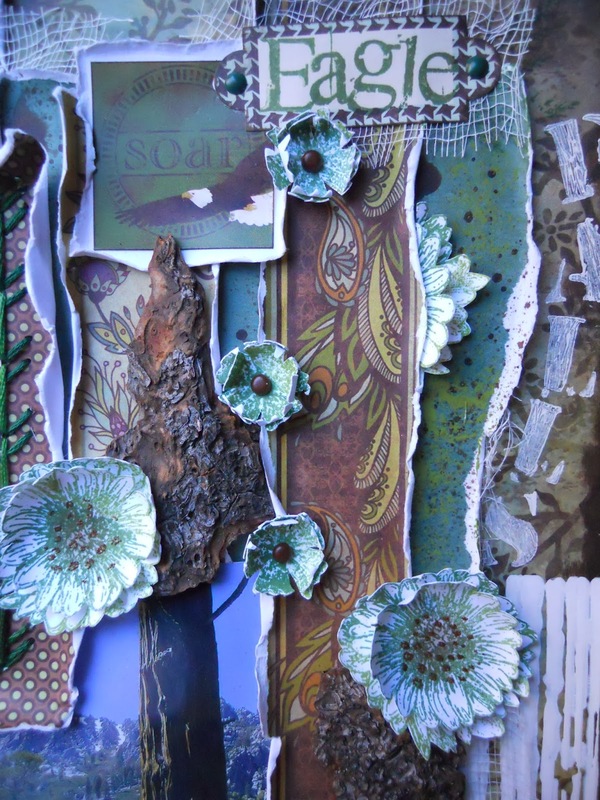 Love the beautiful background paper she's created! 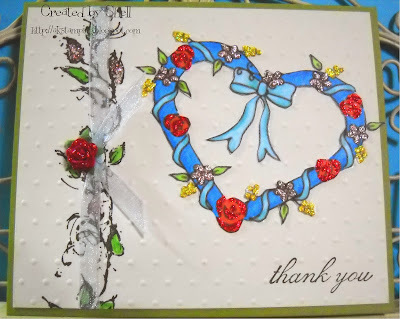 The beautiful stamp roses are beautiful and the added butterflies add a wonderful touch! Such a lovely wall hanging! 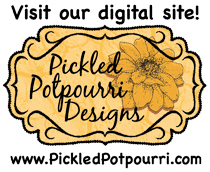 Love each of the stamped backgrounds! A fun tag! Love all the different elements used! There is still time to join in our current Inspirational #111: One Last Snowfall hosted by Lynda. Please link up your project by 11:59 PM (U.S. Central time zone) on Wednesday, March 19th. And don't forget our next Inspirational starts on Thursday, March 20th!! Deadline for submitting your projects is Wednesday, March 19 at 11:59 PM US Central time. This is Lynda hosting this week's Inspirational! Our theme this week is One Last Snowfall I want to see you use those snowflake stamps on your creation. For complete Inspirational Rules, please read them here. 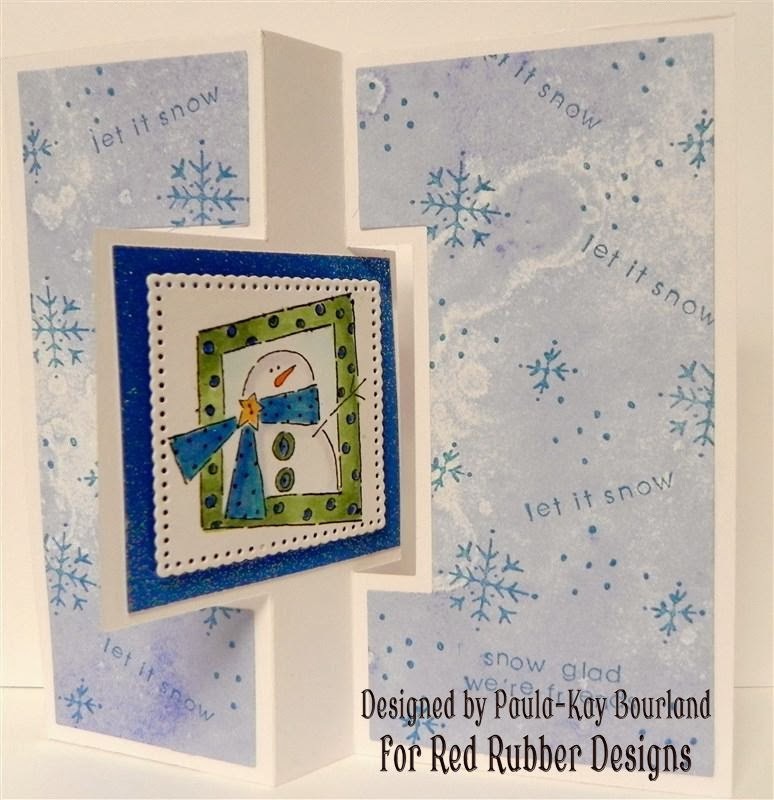 For my card I first stamped the wonderful image from the Snowflakes Block stamp set onto acetate using Stazon ink. I then used two colors of distressed stain to color the image. I then added these sparkly brads to the center of each flake. I then stamped the sentiment from the Sophisticated Sentiments stamp set. 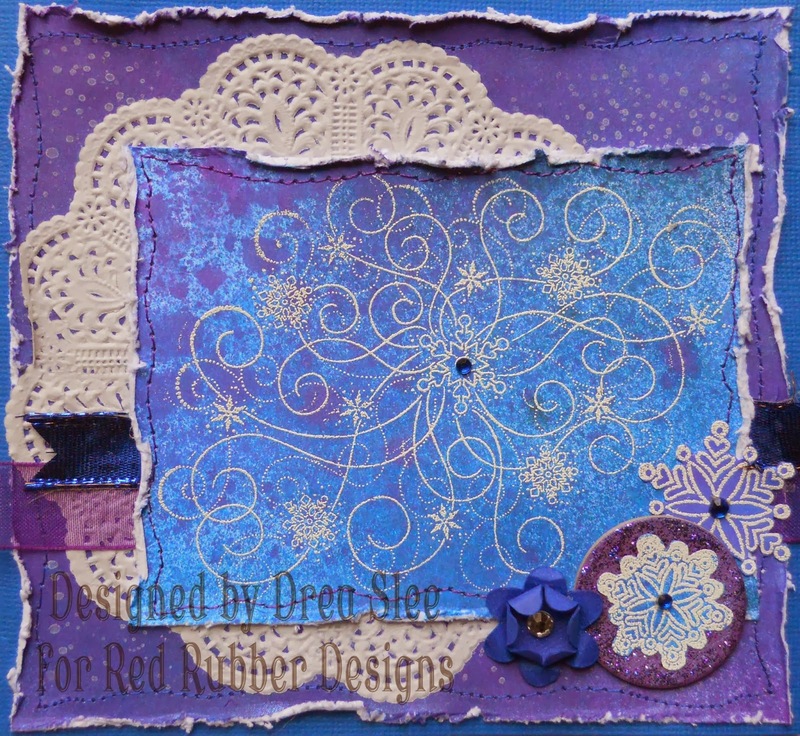 I then embossed a large piece of cardstock with snowflakes. 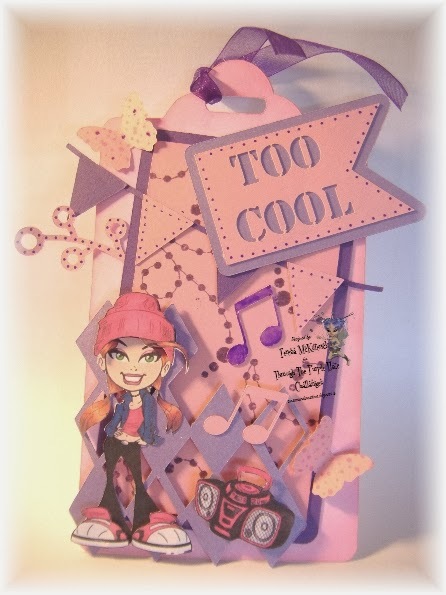 I then added it to a piece of purple cardstock and then the pink cardbase. 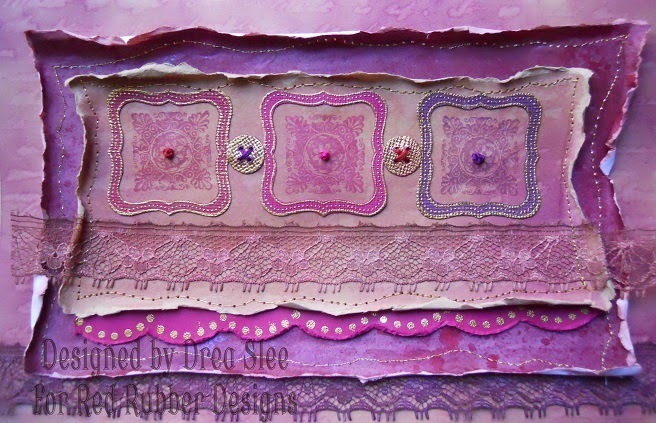 I used the same pink cardstock to add a strip to the front of the card. I then mounted the sentiment onto the same two cardstock colors. 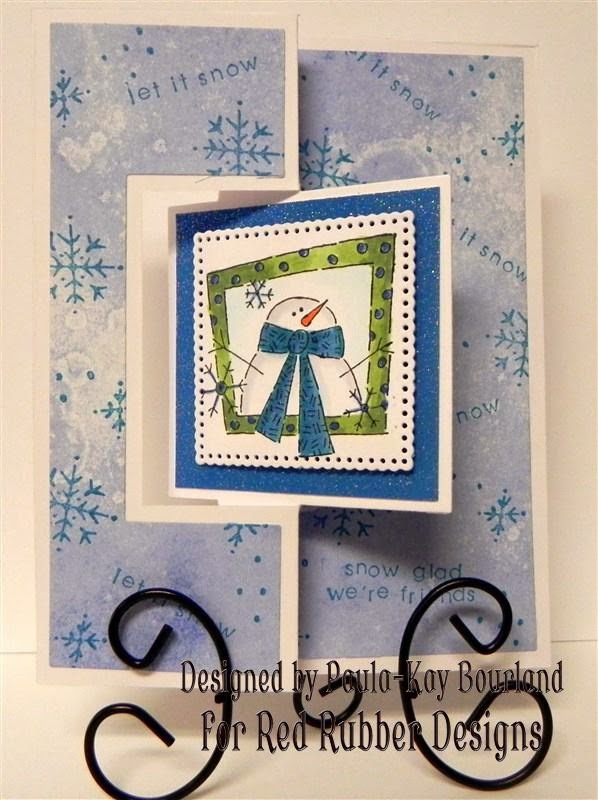 Drea created this wonderful project using images from the Ready Set Snow set, the Cheery Christmas set, and the Speckle background stamp. We can't wait to see your snowflake creations!